1. Stop. Everything. How did I not know that Suzanne Rindell has a new book out? It’s been far too long since I participated in Bibliophile by the Sea’s First Chapter First Paragraph Tuesday- that will change now that exams and study are over for six weeks and I have a huge, tempting reading stack. 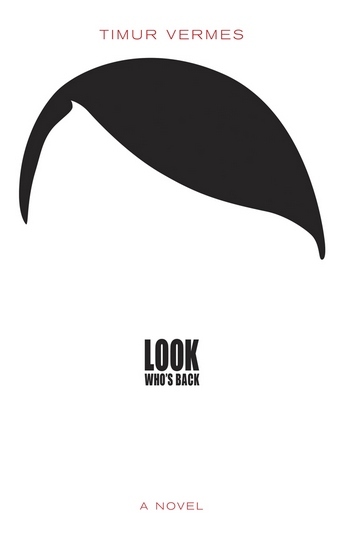 In that stack is Timur Vermes’s political satire, Look Who’s Back. I think you can guess who it’s about from the cover. The question is, are we ready to laugh at him? I was grossly under-prepared for the intensity of Julia Franck’s Back to Back. Which is probably why I found it so disturbing. The story begins in 1954, and centers around a single family living in Berlin in the socialist East. The mother, Käthe, is a sculptor, who has been leveraging her party connections in order to get more significant commissions. Devoted entirely to becoming a success, she is a cruel and completely unaffectionate mother, putting the socialist party above her children – Thomas, Ella and (unnamed and mostly absent) twin girls. She treats her children as if they were adults – there is no bourgeois mollycoddling in her household.